Strawberry Whip Brulee Donut from Jack in the Donut - this was so good!! I don't care for pastries and donuts, but the sweet strawberry filling, and the crispy, sugary donut was just so yummy! 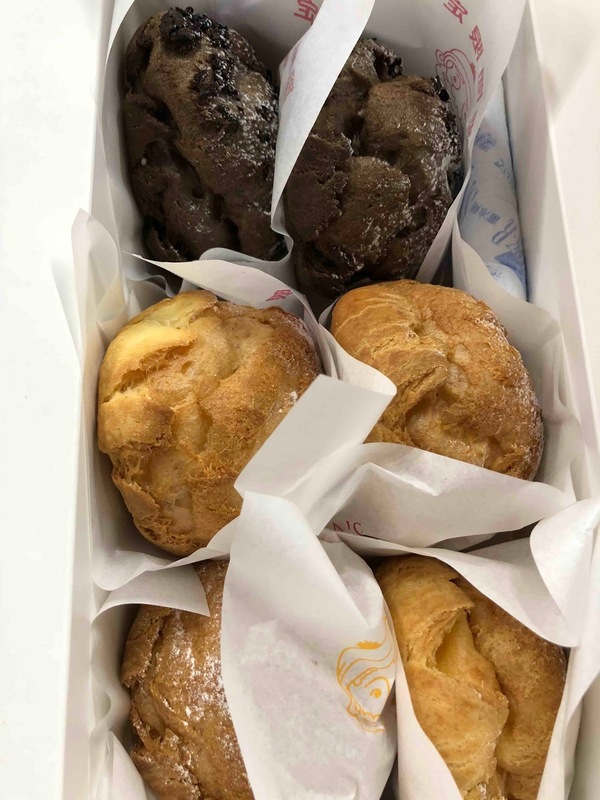 Cookies & Cream, Custard Cream, Strawberry Cream Cream Puffs from Beard Papa. I've only eaten Beard Papas once before when they were in Hawaii - I forgot how good they were! 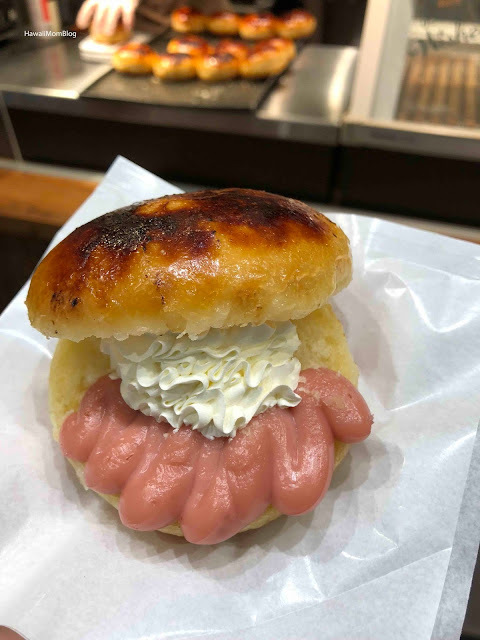 I really liked the Strawberry Cream. Jack in the Donuts and Beard Papas, along with a number of other sweets vendors, are all located in a row of eateries. You'll have no problem finding something sweet to eat!